Add more firepower to your games of Star Wars™: Armada with the prizes available in the third season of 2018 Organized Play! 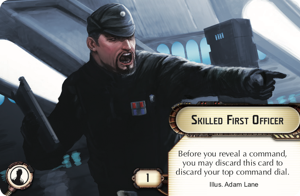 Star Wars: Armada Organized Play exists to help you meet more fleet admirals, command your cruisers through more battles, and to expand your awareness of all that's possible within this miniatures game of epic Star Wars fleet battles. The program's vanguard are the friendly local game stores that run events. Talk to your local retailer to see how you can get involved. Whether your event organizer uses the Season Three prizes to support a local league, a Fleet Patrol Tournament, or some other style of event, your participation puts you in the running for a number of custom prizes. Each Season Three 2018 kit comes with seventeen Core Prize Cards, three Elite Prize Cards, and two Elite Prize Sets. One of the Core Prize Cards and one of the Elite Prize Cards are reserved for the event organizer—to keep or distribute at their discretion—but the other items are yours to earn! 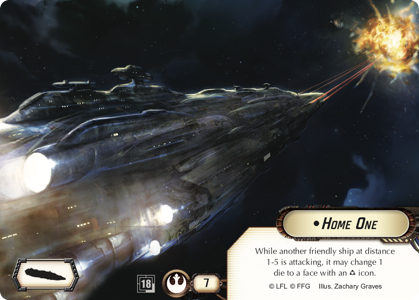 Finish among the Top 16 participants of your league or Fleet Patrol Tournament, and you'll earn a copy of the season's double-sided, extended-art upgrade card. 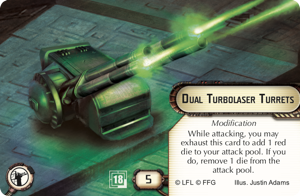 With the Skilled First Officer on one side and Dual Turbolaser Turrets on the other, this full-bleed upgrade card allows you to add some versatility and long-range firepower to your fleet—all while making it look fantastic! 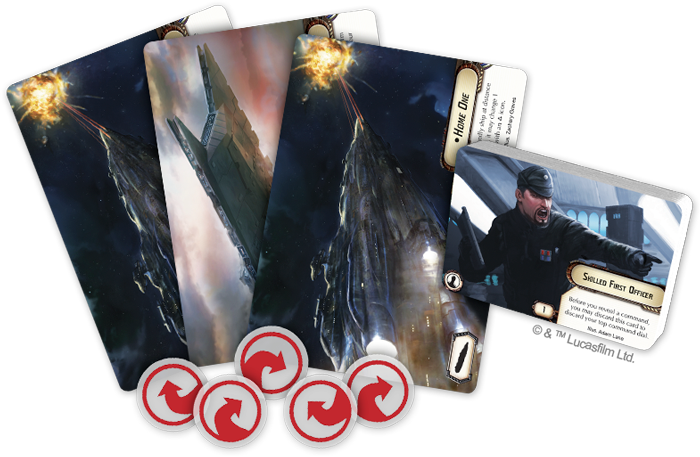 Prove yourself capable enough as a commander to fight your way into the Top 4, and you'll be able to choose either a set of Elite Prize tokens or one of the season's double-sided, extended art Elite Prize Cards. Featuring the Demolisher on one side and Home One on the other, this card grants you access to two of the game's greatest ships—either of which could be viewed as an appointment worthy of the greatest of admirals. 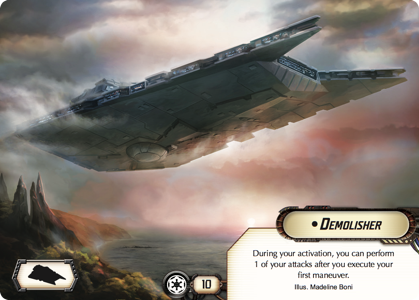 To fly and battle your way toward the top of your Fleet Patrol Tournament, you'll need to plan ahead. Among other things, that means knowing when you'll need to reveal your Navigation commands—and when you'll need to back up the command from your dial with the extra maneuverability provided by a token. Accordingly, if you fly your way into the Top 4, you might lay claim to the season's set of acrylic Navigation tokens. Featuring bold red paint atop a frosted white base, these tokens don't just empower your maneuvers; they make them look good! With their sleek designs and extended art, all of the Season Three 2018 prizes go a long way toward adding style and firepower to your favorite Armada fleet. But to claim these prizes? You've got to participate in Organized Play at your local retailer! So get your crew to their battle stations and fly into battle. Talk to your favorite local retailer today to find out how you can get involved with Season Three 2018 Organized Play for Star Wars: Armada!